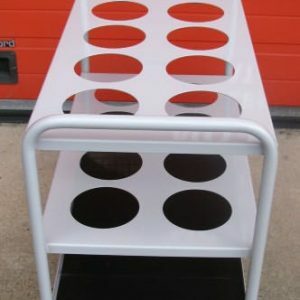 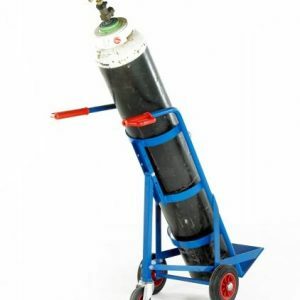 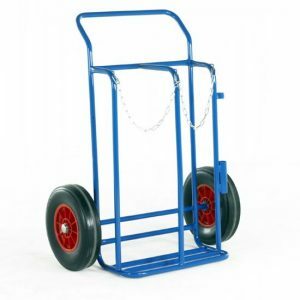 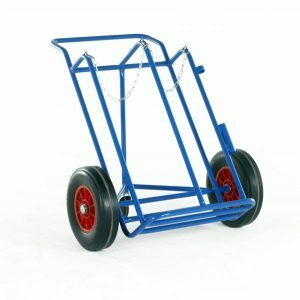 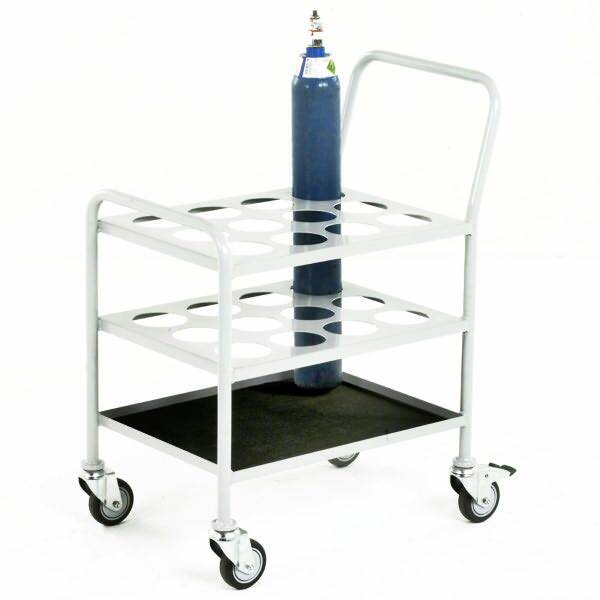 Small Cylinder Trolley that has been designed to safely transport 12 medical Oxygen gas cylinders. 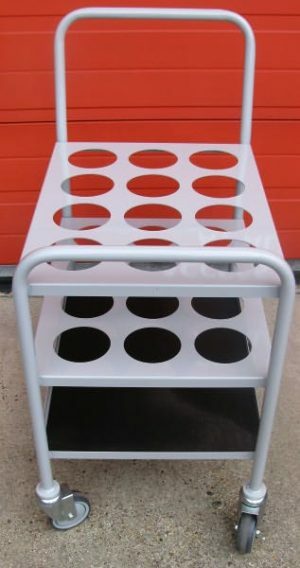 The lower lever is covered with a rubber cushioning to prevent slipping. Mounted on 4 swivel castors (2 braked) with non-marking wheels and roller bearings. 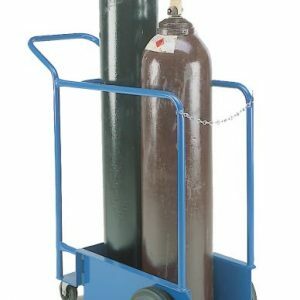 If you require storage for F Oxygen Cylinders, please see our other product.